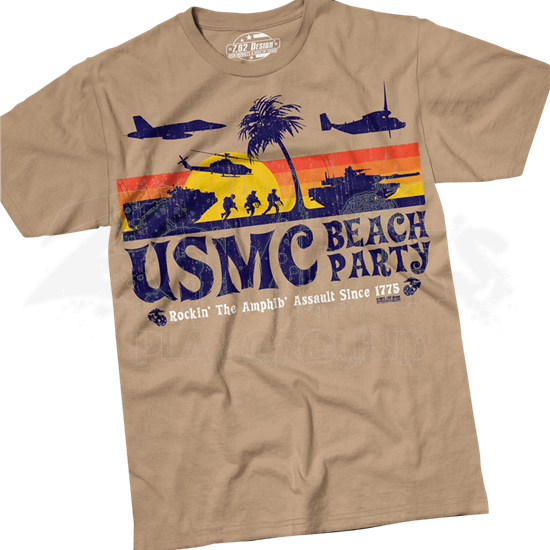 The USMC Beach Party T-Shirt puts a new spin on the classic beach apparel with its charming, colorful design! The beach-themed style of the graphic depicts the silhouettes of a traditional amphibious assault landing team. You might want to think twice before crashing this beach party! This military shirt replaces the typical surfers, sunbathers, and beach umbrellas with helicopters, tanks, armored personnel carriers, and soldiers on the sand, all set against a gorgeous sunset. The text of the beach shirt reads, USMC Beach Party Rockin the Amphib Assault Since 1775. 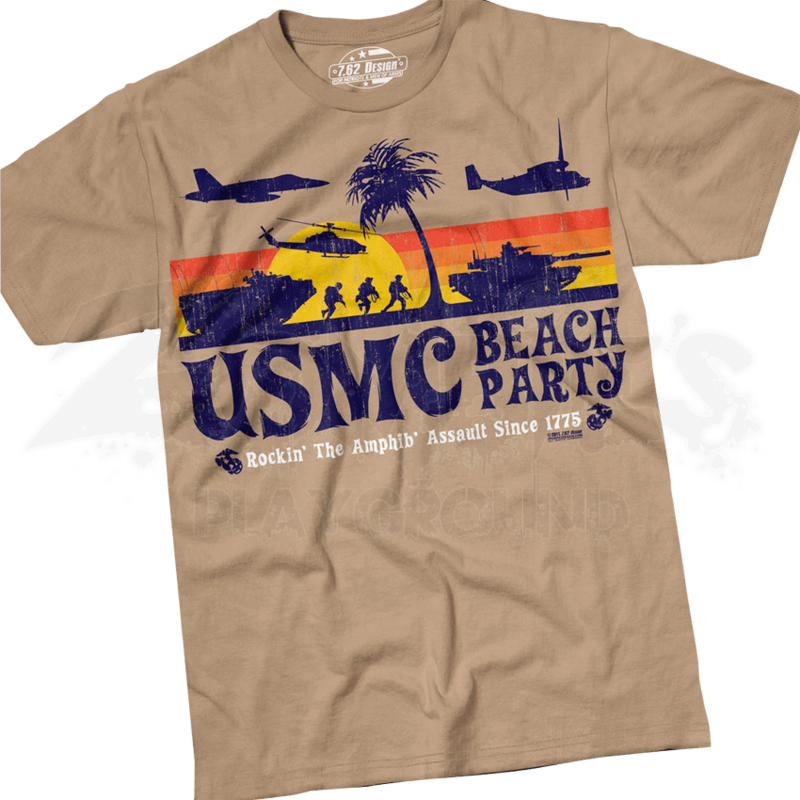 Novel in its approach, this USMC Beach Party T-Shirt is a great garment to wear in support of your troops and to introduce a few laughs into your day, as well.